More than ever before, the public expects transparency and accountability from government, and the California Public Records Act is the public’s primary tool for accessing information to monitor the functioning of government agencies. With nearly 30 years of experience serving public entities, Meyers Nave is the “go-to” firm for helping public agencies understand the law’s requirements, exemptions and penalties; establishing plans and protocols for efficient and cost-effective compliance; and developing strong defenses in the event of a courtroom challenge. Meyers Nave attorneys have handled thousands of Public Records Act requests on behalf of cities, counties, special districts, school districts, successor agencies, municipal corporations, transit districts, commissions, boards, committees and joint powers authorities. Our attorneys have expertise with requests that reflect the extensive scope of public agency interests and operations, including records relating to construction projects, commercial lease negotiations, the resolution of litigation, employee performance investigations, student records, and telephone/texting usage by public employees and officials. In special instances, we also help public entities obtain public documents through the Public Records Act. From trial through appeal, our litigators have successfully defended lawsuits alleging Public Records Act violations and obtained published decisions in the process. In addition to suits solely about records requests, we are experienced in handling litigation in which plaintiffs’ counsel use Public Records Act claims as a secondary tool to advance their position in other cases. Meyers Nave attorneys serve as strategic partners with our clients in creating the best strategies for balancing the spirit of openness with the need for the efficient and effective functioning of government. Our proactive approach focuses on training clients on the intricate steps involved in both evaluating and responding to records requests. Meyers Nave training programs cover critical issues such as the duty to respond, timing of the response, types of responses, assisting the requester and redacting records. Our goal is to help clients become self-sufficient with standard protocols and procedures for handling records requests. Technology can be tremendously beneficial in swiftly responding to Public Records Act requests, which is imperative given the statutory requirement of responding no later than 10 calendar days from receipt of the request. 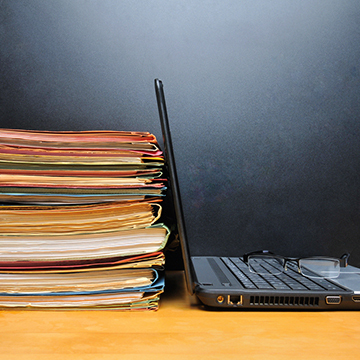 We help clients develop and update their systems to be more efficient and streamlined in handling records requests. Our insight on the technology landscape includes advising clients on electronic records policies, e-discovery procedures, and special issues relating to metadata and geographic information system programs and databases.